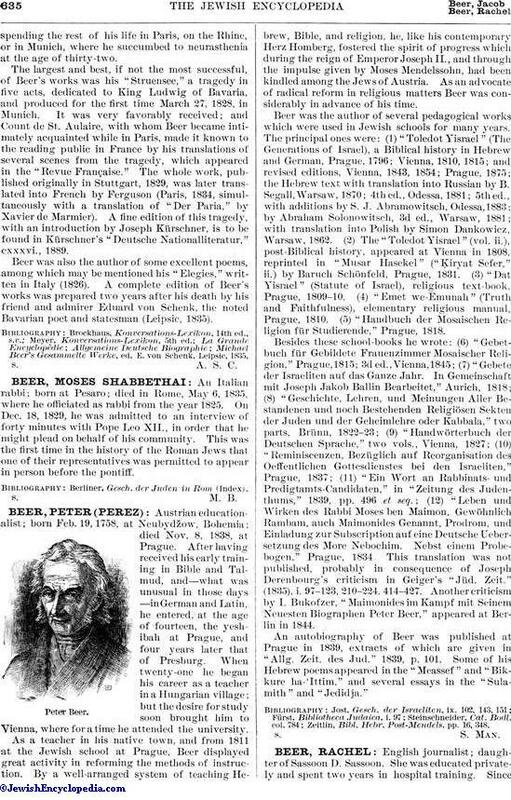 An Italian rabbi; born at Pesaro; died in Rome, May 6, 1835, where he officiated as rabbi from the year 1825. On Dec. 18, 1829, he was admitted to an interview of forty minutes with Pope Leo XII., in order that he might plead on behalf of his community. This was the first time in the history of the Roman Jews that one of their representatives was permitted to appear in person before the pontiff. Berliner, Gesch. der Juden in Rom (Index).